section is a function which allows to perform a section of a vector defined in each point of the 3D grid. Since vectors are defined in the three-dimensional domain, it is useful to cut such data in slices along the three different axis, in order to be visualized. section does exactly this, or better, given the vector_to_be_sliced, the plane through which the cut has to be done “section_slice” (which can be “x”, “y” or “z”), and the coordinate of the plane coordinate, it produces an output which is read and visualized by gnuplot. 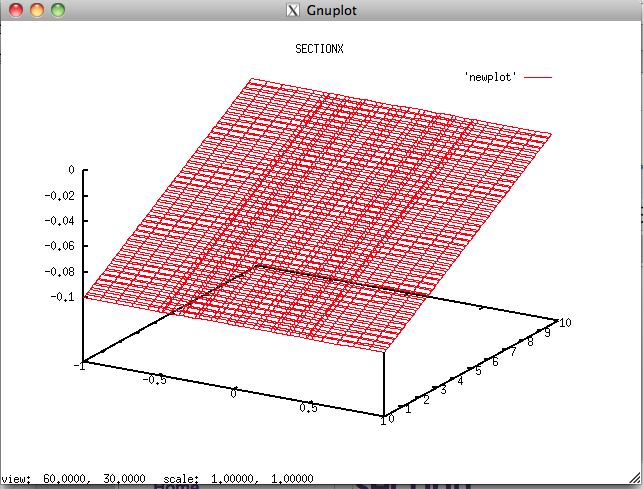 This is particularly useful, if matplotlib is not installed on the machine, where NanoTCAD ViDES runs. In this case, pay attention that gnuplot is installed.